Food Extracts & Essence are an important ingredient in crafting delicious baking delights and can be used to add depth to cakes, cupcake, muffins, cookies, macaroon, candies, brownies and much more. 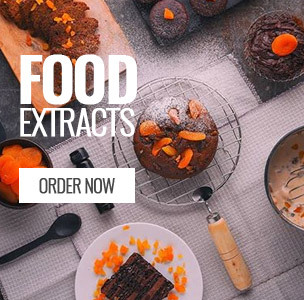 Food extracts can be used to add major burst of flavour to a product, as well as to create those delicate touch that help to add innovation and character to a baked dish. One of the most commonly used food essence are vanilla, orange, butterscotch, lemon, numerous different types of food essence are available for adding flavours to your cake batters, buttercreams, fondant, chocolate and filling for that extra taste. 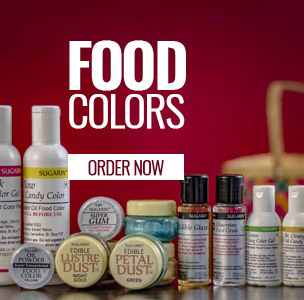 Bakerykart offers wide assortment of food extract, food essence and emulsions from renowned brands such as Ossoro, Sprig, Bakersville and we assure delivery within 4 to 5* working days across India.